Coffee beans, huh? Who needs ‘em? Apparently not the folks behind Seattle-based startup Atomo. They recently took to Kickstarter with their promise of a “molecular coffee,” offering the great taste of a cup of Joe, minus the need for a single harvested coffee bean. 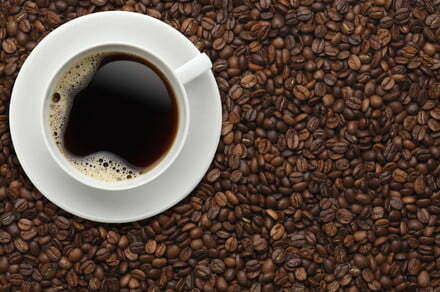 According to Kleitsch, many coffee drinkers add cream and sugar to their coffee not because they want extra calories, but because they want to mask the bitter flavor. The company’s “molecular coffee” is therefore designed to offer the aroma, taste, body, mouthfeel and color of regular coffee, but without the harsh bitter bite. In a blind taste test, 70 percent of University of Washington students reportedly picked Atomo over Starbucks. The idea of eco-friendly, lab-engineered food substitutes is hardly new. From seafood made of red algae in the Google cafeteria to Impossible’s bleeding veggie burgers, plenty of startups are trying to find new ways of formulating delicious foodstuffs. Atomo hasn’t revealed exactly what the components of its coffee upgrade are, but it is said to be made up of 40-plus compounds found in the proteins and oils of coffee, along with “upcycled plant-based materials.” Will it taste as good as promised? It will have to if it’s going to stop large numbers of people from ditching their morning brew for a drinkable chemistry experiment. Either way, we’re definitely excited to try a sample. As ever, we offer our usual warnings about the potential risks associated with crowdfunding campaigns. If you do want to get involved, however, head over to the project’s Kickstarter page to pledge your cash. Prices start at $24, which Atomo says will get you enough ground coffee to brew 50 eight-ounce cups of coffee. That works out to $0.50 per cup. Higher price points bring down the per-cup cost to as little as $0.17. T-shirts, stickers, tumblers and other merchandise are also available.